Loss Of Bladder Or Bowel Control with your back pain. Read This Special, FREE Report To Find Out What Your Friends, Family, Or Even Your Doctor May NotKnow About How To Eliminate Low Back Pain Once And For All…Without Drugs Or Surgery! family doctor may only make your back pain worse! back surgeries are unnecessary and unsuccessful! know about using pain relievers CAN hurt you! treatment of low back pain doesn’t involve any drugs or surgery! bad news. The GOOD NEWS is that you may not have to continue suffering! Keep reading this report to find out the well-hidden truth you won’t find anywhere else! Since you requested this Special Report, you or a loved one may be suffering from the horrible condition that strikes millions of Americans each year called ‘low back pain’. Because what we’re going to reveal inside this report may show you how to finally rid yourself of low back pain without drugs or surgery…please be sure to read everything in here since it may be the most important thing you’ve read in a long time! · Why does my back hurt? · Why doesn’t the pain just go away? · Why can’t I just be like normal people? · How bad can this get? · Will I eventually be crippled? · Will I ever be able to live the life I used to? now! Why do I say this? Because you may discover how to get on a path where your pain and suffering can be relieved quickly, naturally, and affordably! Nothing Is Worse Than Feeling Great Mentally, Wanting To Take In All Life Has To Offer…Only To Have Your Natural Enthusiasm And Drive Squashed Because Your Back Hurts And The Pain Just Won’t Go Away! you want to do because the low back pain you suffer from is so pervasive, so intruding, and so unfair? Don’t you feel downright angry because this pain, these symptoms, just won’t go away? If you do, it’s only normal. After all, who wants to be burdened with carrying a load of discomfort, and living life through an all-encompassing fog of pain. Pain that’s always there when you stand up, sit down, lay down, or even bend over. Pain that’s always rearing its head, no matter how hard you try to ignore it. ignore it long enough, it will go away…” Unfortunately, this isn’t the case. Ignoring your pain will only make it worse over time. What was only a mild pain a year or month ago, may become a chronic, crippling pain years down the road. may have been such a small injury you may not have noticed it. Or maybe you felt a slight pain, but it went away after a day or week so you didn’t think anything of it. And slowly, over the years, as you continued to do your normal activities, that old injury has secretly gotten worse and worse without you being aware of it. After a time, the straws slowly built up until one day they broke the camel’s back. Maybe what finally put you over the edge was that heavy chair you tried to lift, or that time you bent over too quick, or any one of a hundred things. And You Don’t Have To Suffer Anymore! from over-the-counter drugs, or maybe you met with your private doctor? Let me share with you the story of a woman named Emily. gone away after a day or so, she knew if she toughed it out then she’d be okay. she felt a sharp pain in her back, a pain she had never felt before. at 2 AM, she sent her husband to the store to find a pain reliever she could take that would help her sleep. Right away she felt better, but she’d have to take another couple pills every couple hours because the pain would come right back as soon as the pill wore off. After a couple weeks, she was taking more pills more often just to keep the pain away so she could get on with her life. The Shocking Truth About Over-The-Counter Drugs And Why They Don’t Really Get Rid Of Low Back Pain! What many drug companies don’t want you to know is that their drugs do not cure you of what causes low back pain. You see, the way these drugs work is to disable, for a short time, your brain’s ability to feel the sensation of pain coming from your back. The pain’s still there, you just can’t feel it! It’s just like sweeping dirt under a rug. Just because you can’t see/feel it, doesn’t mean it’s not there! do that!” Because your brain is effectively disabled from your body you will no longer feel pain which isn’t a good thing. You will continue making the same movements that keep damaging the injured tissue. You will only hurt yourself more and more by taking more pills. Obviously, using over-the-counter drugs long term is not the way to go when it comes to getting rid of the “real” cause of your back pain. After two months of taking pain relief drugs, Emily realized she was no better off and she just didn’t feel like the same pleasant person she’d always been. Out of desperation, Emily went to her family doctor she’d been seeing since she was 10. He had to know how to get rid of her back pain once and for all! Emily stayed in bed for two days taking more and more pills just like her doctor instructed her. But, things didn’t get better. In fact, she got worse. Most Doctors Lack The Training & Experience To Effectively Treat YOUR Low Back Pain! What Emily didn’t know was that her doctor was never trained to detect or diagnose the real cause of her pain. In fact, most doctors have no idea how to treat someone with low back pain. It’s just not their specialty. And since they have no background in this area, they make improper diagnoses’ and then deliver improper treatments that just plain do not work. that can cause the nerves in your spine to become choked and compressed. The result is pain. Most doctors are trained to relieve symptoms, to sweep your pain under the rug. All the while, the REAL cause of your pain is still there. Unless The REAL Cause Of Your Pain Is Treated, You’ll Never Get Better! Emily didn’t know about any of this, just like thousands of people like yourself. But because you now have this knowledge in your hands, you won’t have to suffer like Emily did. Soon enough, Emily was back in Dr. Olson’s office feeling worse than ever. She and her husband seemed to always be fighting, and her relationships with her kids were no better. Her 4-year old now referred to her as ‘mean mommy’. If Dr. Olson couldn’t help her, she didn’t know what she would do. Dr. Olson told her physical therapy would be the answer. He told her he knew a great therapist, and before she knew it, her life would be back to normal. Don’t get me wrong. Sometimes physical therapy can help someone tremendously. In some instances, I’ve even sent some of my own patients to a physical therapist if I thought it was necessary. You see, the reason for this goes all the way back to your doctor’s ability to diagnose the true cause of your pain. If he or she cannot clearly identify what’s making you hurt, then the instructions they give to the physical therapist don’t stand a chance of working. It’s like trying to bake a cake with the instructions for making chocolate chip cookies. Most medical treatments for getting rid of low back pain only focus on getting rid of symptoms. For instance, a cortisone shot in your back may decrease the pain for a short time, but the pain’s still going to be there waiting for you when it wears off. Medications do the same thing, but leave you open to potentially dangerous side effects. Other treatments like physical therapy are ineffective because they stem from a misdiagnosis. After two months, Emily returned to her doctor in tears. Her life was a wreck. She was a mere shadow of the woman she once was. She could no longer sit straight in her chair without sharp pains or do anything she once enjoyed without feeling pain and discomfort. Believe it or not, these words are spoken all around the country every day of the year. Maybe they’ve even been spoken to you. To have a surgeon cut you open to repair damage to whatever they think is wrong with you is a pretty drastic decision. You know you don’t want this option. There are too many questions: What if they’re wrong? What if my problem doesn’t go away? What if it gets worse? This kind of thing happens with surgery all the time. In fact, Back Surgery Is Often The Most Ineffective Form Of Surgery There Is. Some Studies Have Even Declared A Success Rate Of Only 47-50%! Most Surgeries Result In Only Temporary Relief Or None At All! And to top it all off, each time you go under the knife, you need to face the small but potential risk of going under anesthesia and also of getting an infection! Listen! You may not have to live with this! You DO have other options! You may not have to be on sleep-inducing drugs to keep the pain under control! You may not have to get used to tingling, numbness, and sharp pains! You should not have to alter your lifestyle because of low back pain! This is the most advanced, scientifically correct treatment there is. You see, this method doesn’t just sweep pain under the rug, it goes right after the REAL cause of your condition and treats that. Because the source of your pain is being taken away, you’ll quickly be out of pain, possibly permanently! Like any truly advanced form of healing, this method works with your body’s own natural healing powers (that’s right, with some help your body can take care of itself!) to put you back to where you were physically before you were ever hurt! Isn’t that how healthcare should be delivered in the first place? Don’t you agree? 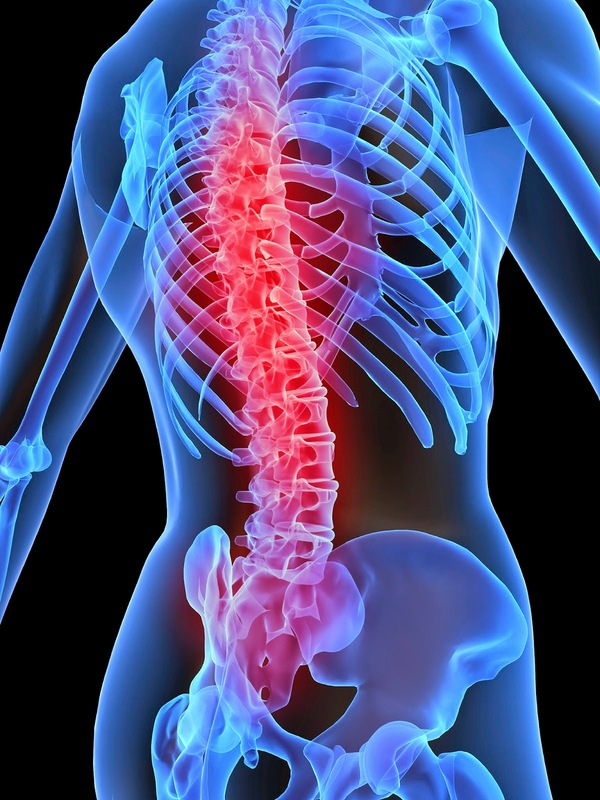 I’ve been trained to not only detect the spinal misalignments that you may suffer from, but I’ve also been trained to correct these problems and get you out of pain fast and, if possible, permanently. Now, don’t think because my methods are non-drug and non-surgical they are old-fashioned or low-tech. No way. What we’re talking about is a very sophisticated natural protocol to treat the problems in your back that you have developed and can’t get rid of. Just because we don’t cut you open and view each vertebrae in your back under a lens, doesn’t mean what we do isn’t at the forefront of healthcare and won’t dramatically enhance the quality of your life! We’ve been treating victims of low back pain, just like you, for over 10 years – – this stuff just plain works! There’s something you’ve got to keep in mind. We are dedicated to changing the lives of low back pain sufferers here in Vancouver WA. This is what we do. This is what we know forward and backward. 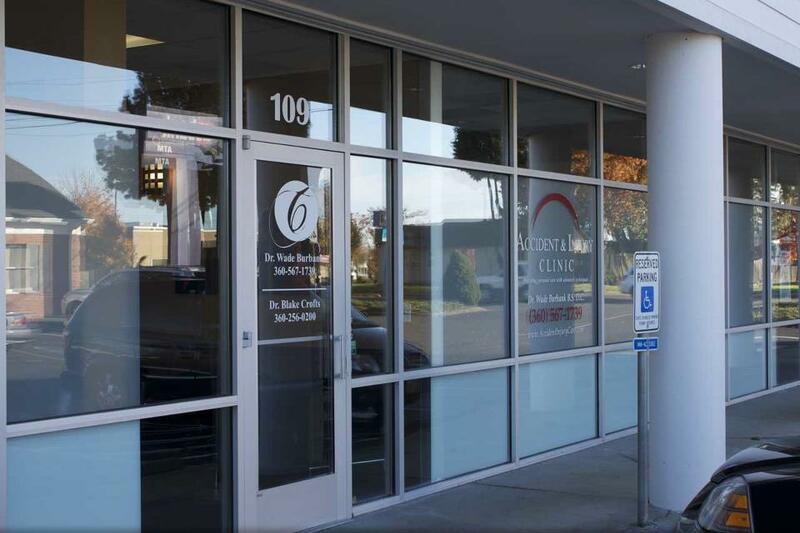 We’ve got over 10 years of experience helping low back pain victims get out of pain quickly and naturally without drugs or surgery under our belts. I’ve Have Over 4500 Hours Of Education and 20 Years Experience In Treating Low Back Pain To Back Up What I’m Telling You Right Now! What We Do Is Scientifically Correct And Proven By Over A Thousand Patients Who Used To Suffer…And No Longer Do! See, unlike some doctors, and possibly even your friends or spouse…we understand exactly how you feel. In fact, one of the reasons I decided to become a doctor was because I suffered from low back pain. We don’t think your pain’s “in your head” or that “you’re exaggerating”. We don’t think it’s something you need to get used to or learn to live with. No. When you explain your problems to us, we’re not going to downplay them just because they don’t appear on the surface or easily show up on an x-ray. Two days before her surgery was scheduled, Emily bumped into an old friend from high school while shopping for groceries. It wasn’t long before she was crying on her friend’s shoulder explaining all that she’d been through with her pain, her kids, her job, and her husband. Concerned, her friend Jessica brought her to my office explaining to her that I had treated her husband a year before, and soon enough he was as good as new. I sat down with Emily and listened to her story. I explained a little about the same method I’m telling you about. Immediately her eyes lit up and she was eager for me to do an on-the-spot exam to find out what was really wrong with her. After a quick and painless examination, I spotted a couple problem areas in her back, and from there we designed a Recommended Action Plan to get her out of pain quickly and safely without drugs or surgery. I’m happy to tell you that now Emily has her life back. She’s been pain free for six months now and she reports to me she’s feeling fantastic! We’re not going to make you feel like there’s something weird or wrong with you. You’re not going to have to feel like you have to be guarded or cautious when you explain your ailments to us. We WANT you to unload your feelings, concerns, and fears so we can help you get better! WE UNDERSTAND. When you have a suffering marriage, for example, instead of going to the bar and covering up your pains and problems with alcohol, you should consult with a counselor specializing in spousal relationships. Similarly, when you have a low back problem, you should get professional help by a health care professional who only focuses on problems such as yours; experienced in finding and fixing the problem, not covering it up. Does that make sense? When YOU Have Low Back Pain, You Should Be Calling US! We will never claim to be something we’re not. But if you want to get the right diagnosis, the correct evaluation, the proper treatment for your pain and numbness…then we are the experts to help you! In this day and age of specialization, you need to always work with the right professionals who are trained and experienced, and who specialize in the area you need help in. Being “familiar” or “knowledgeable” about low back pain isn’t even close to being enough. You need to get advice and help from people who have made getting rid of low back pain once and for all their life’s work! You wouldn’t want to have your child delivered by a doctor who assists with deliveries every now and then, would you? You wouldn’t want your teeth cleaned by someone who does that once or twice a month, would you? So why would you go to a physician who has little, if any, working knowledge of EXACTLY how to diagnose and use non-chemical, non-surgical treatments to remove the CAUSE of low back pain? It doesn’t make sense. Now you know who does have the answers you seek so desperately. You’re almost there. So don’t stop now! the best way to get the information you need to be able to make an educated decision on what to do. Well, we have a FREE and non-threatening way to do this that you’re going to like! If, after the appointment, you believe there’s no benefit to working with us, you simply leave and that is that. However, if you do find that you can use our help, then we will discuss how we proceed from there that includes verifying your insurance coverage and our low, no-interest monthly payment options. So, if you’re experiencing symptoms, have been treated with little or no improvement, or want a second opinion to compare what we have to say to the care you’re currently receiving, please CALL US RIGHT NOW at (360) 567-1739 (in Vancouver, WA). What have you got to lose? Why not finally get better? Either way, we wish you good luck, with a bright future, shining in the light of excellent health! P.S. Don’t suffer needlessly. You can get better quickly, without drugs or surgery!